Posted in Uncategorized	| Comments Off on We are recruiting now! Posted in Uncategorized	| Comments Off on Yellow food truck – my favourite lunch! Posted in Uncategorized	| Comments Off on Enjoy your stay at Transenter! 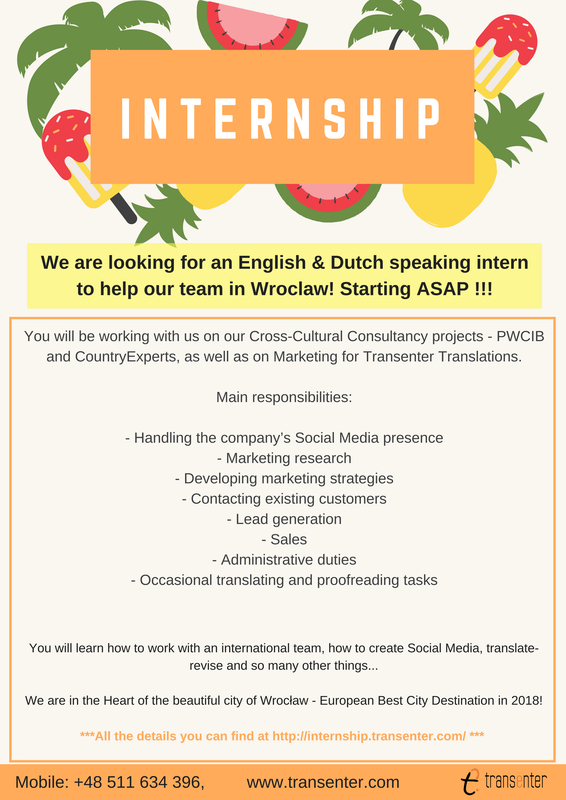 Transenter is currently looking for interns fluent in Dutch and English to help our team in Wroclaw. Transenter provides international clients with cutting-edge translation solutions. Having started out as a small-scale translation agency we are now well on our way to serving the corporate giants of the world. – Are you an energetic student looking to express your creativity and individuality? – Are you willing to learn about new technologies and solutions that could revolutionize the business world? – Are you interested in working in a productive learning environment in an international setting? – Are you a student of languages, business management, economics or social sciences? If so, you are the perfect candidate for an internship at Transenter! You will also work on us on our Cross Cultural Consultancy project PWCIB. Cross-Cultural communication is a trending topic in the business world with international sales increasing every year. 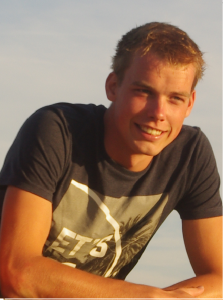 –Would you like to actively participate in sales and business development for consultancy? -Are you interested in finding out what the major problems of international companies are? -Do you want to develop cultural intelligence? You will develop competencies in the area of marketing and account management in the training industry. – Commitment to ongoing learning and putting newly acquired knowledge into practice. -We offer you free accommodation in our apartment in Wroclaw. – We are looking for interns for all year round! – We are looking for interns for 3 months or longer. If you are interested send your CV and a cover letter to internship@transenter.com or apply via the website.